On May 7, 2013, the United States Court of Appeals for the D.C. Circuit struck down the National Labor Relations Board’s August 2011 Notice Posting Rule, which would have required employers to conspicuously display a notice informing employees of their rights under the National Labor Relations Act. Many employer groups viewed this mandatory notice requirement as encouragement to unionize rather than as a neutral informational poster. In National Association of Manufacturers, et al. v. NLRB, the Court invalidated the rule because it found all three of the rule’s enforcement mechanisms unlawful. A majority of the Court also found that the rule exceeded the Board’s rule-making authority as delegated by Congress. The Board’s challenged rule would have forced six million employers throughout the country, whether or not unionized, to post the Board’s mandatory notice of employee rights to organize unions under threat of an unfair labor practice finding by the Board. Moreover, failure to post the required notice would have permitted the Board to extend the usual six-month statute of limitations period in unfair labor practice cases. The rule also permitted the Board to consider an employer’s refusal to post the notice as evidence of unlawful motive in unfair labor practice cases. The Court determined that Section 8(c) of the Act, which ensures employers the First Amendment right to communicate their views concerning unions to their employees, was violated by the rule as the First Amendment protects not only the right to expression, but the right to refrain from speaking at all. The rule violated Section 8(c) by finding non-coercive employer speech – or employer silence – to be an unfair labor practice. Federal government contractors have been required to post a very similar notice, published by the US Department of Labor, since 2010. That requirement remains in effect and covered government contractors must still post this notice as a condition of performing government work, notwithstanding the new court decision. The United States Court of Appeals for the 4th Circuit, which includes North Carolina, is currently considering an appeal on the same issue, although there is some question as to whether that case has now been rendered moot by the D.C. Circuit Court of Appeals’ decision. The NLRB has not yet indicated whether it plans to appeal this decision to the United States Supreme Court. This determination will be hindered by the fact that the D.C. Circuit has previously invalidated the recess appointments of three of the NLRB’s members. 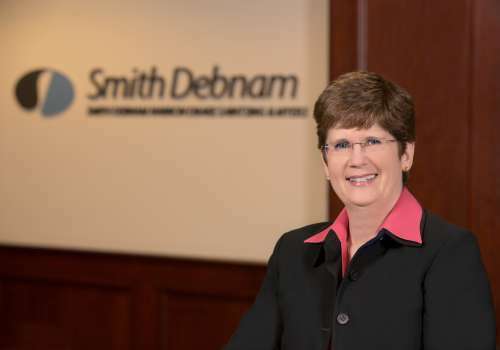 If you have questions or concerns about this decision or other legal issues, please feel free to contact Connie Carrigan at ccarrigan@smithdebnamlaw.com.